New mainstream HP EliteBook 800 notebook line. HP Inc. has been on a roll lately, recently re-attaining the #1-unit market share position in PCs. Today the personal computing and printing company announced new iterations of its mainstream (not premium) EliteBook 800 Series notebooks and ZBook portable workstation line, geared towards a younger, more “modern” workforce and even “wanna-be’s” like me. Mainstream devices are where the volume is and while we would like to ignore it, most enterprise employees are hauling around systems that look ugly, perform slowly and don’t use the latest security. 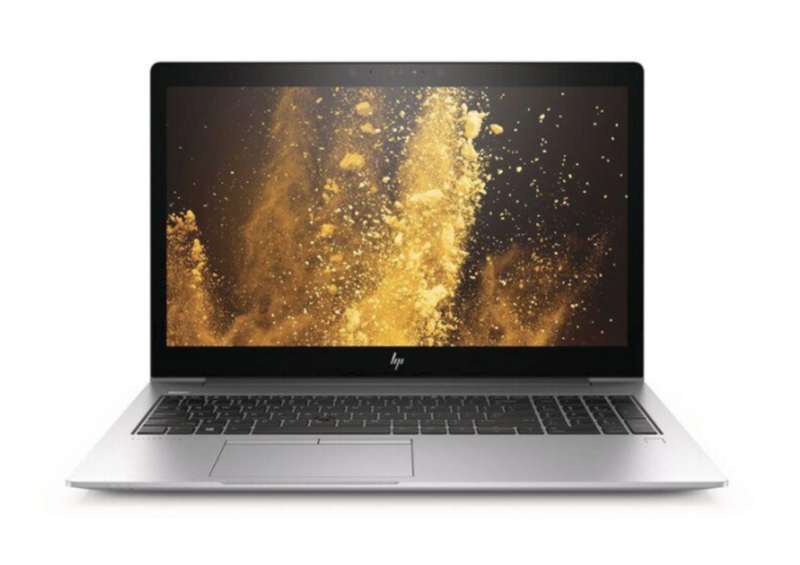 HP’s announcement comes on the heels of the company’s showing at CES 2018, where it launched some great looking additions to its consumer PC portfolio (which you can read about here). I was glad to see today’s announcement—its commercial PC line is also getting stronger, as CES left me wondering what the company had in the works in this area as I saw new platforms at the show from the competition. Keep in mind these are mainstream, not premium platforms, where 60% of the market volume is. A modern millennial (or wannabe millennial like me) workforce wants to work everywhere and pivot easily between work and play. According to recent HP Inc. research, 62% of users work in more than one location, and 81% report working during their personal time. I travel over 40 weeks a year and even when I am at “home,” I am working out of a WeWork or Starbucks. Therefore, design is important as notebooks are used at play, and with mobile collaborating, this makes security even more critical as workers are outside the physical company premises and likely doing personal activities on company equipment. Workers more and more will select employees based on how good the tools are and how flexible the work environment is. IT is no longer the sole decision-maker anymore—HR and facilities are engaged in the process as well. Beauty and serviceability are very hard to do and HP says their new designs get a 10/10 serviceability rating by iFixit. That new 2017 Retina MacBook got a 1/10 for comparison. All these factors were certainly at play in the design of the new HP EliteBook 800 notebooks and ZBooks 14u/15u mobile workstations. 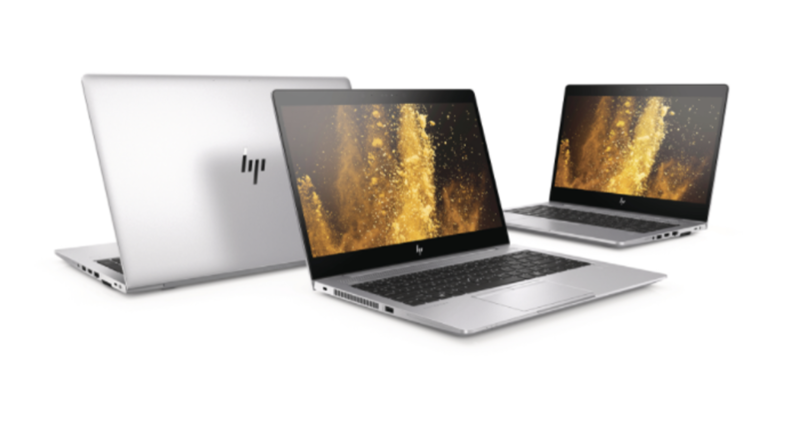 The new devices all feature HP’s “premium design language,” along with chiseled linear wedge profiles and sleek-looking anodized aluminum covers. The design difference between the new and old models is striking. I hate to say it, but millennials wouldn’t have liked last year’s models—this year’s, they will like a whole lot more. 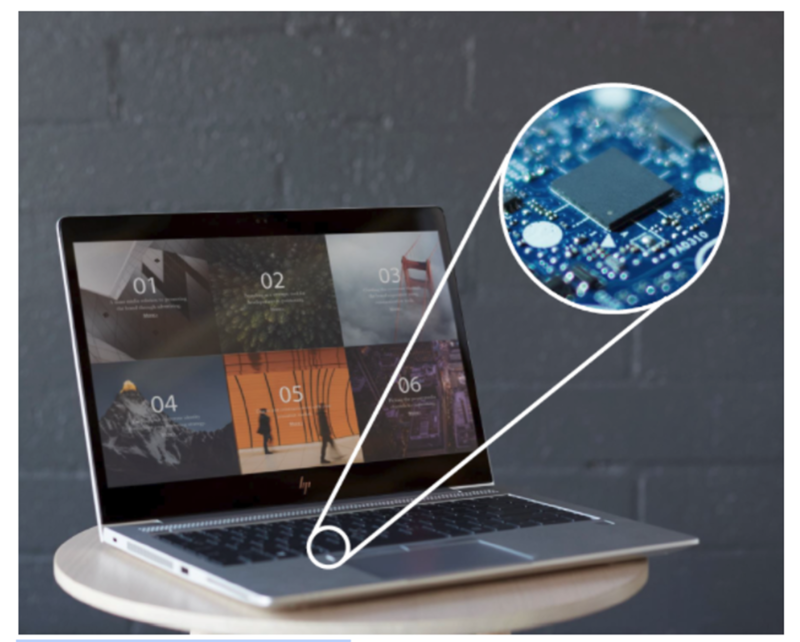 Mainstream HP EliteBook 850 with new design language. In addition to looking good, these devices feature some heavy-duty durability— we are talking military-grade here. One thing with these devices that you will never find on a consumer machine like an Apple MacBook Pro or even HP’s own consumer line, is MIL-STD-810G certification. 810G is a military standard that comprehends the device’s ability to withstand altitudes, shock, and vibration, low and high temperatures, blowing rain, fungus, salt fog, humidity, exposure to dust and sand and yes, even “explosive” atmosphere. This kind of durability is a necessity for on-the-go workers—accidents are bound to happen when the computer leaves the office. Given the work-from-anywhere mentality of today’s workforce, commercial devices must be well-equipped for collaboration. The new EliteBooks and ZBooks feature a world-facing microphone, which cancels out unwanted sounds when individual mode is engaged and switches to 360-degree voice pick-up when conference mode is toggled. I would love to see some data on the competition to see the advantage. Both series also feature the new HP Premium Collaboration Keyboard, which sports built-in collaboration keys for managing calls. I like that the Premium Collaboration Keyboard is certified for Microsoft Skype, but I’d also like to see support for Google Hangouts and Zoom. 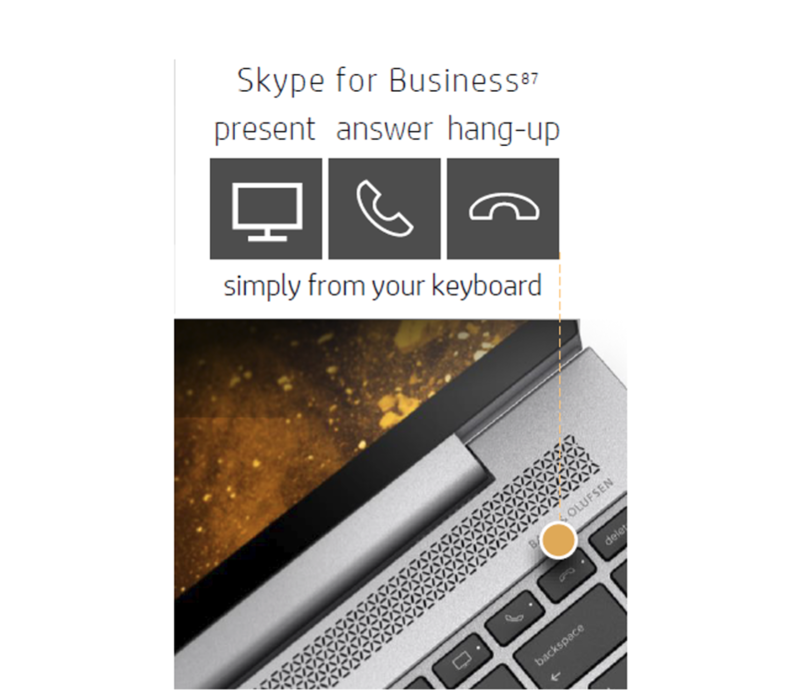 HP Collaboration keys work with Skype. These new PCs also feature HP PhoneWise, a solution that HP says will allow users to use their devices to send texts and make calls to iOS and Android devices. If HP PhoneWise works as billed, I believe this could drive preference to HP. I am not kidding- doesn’t everybody work with his or her notebook and phone? IT has been looking for an integrated solution they can count on, that’s industrial-grade, and I believe after testing that no vendor has successfully pulled this phone to PC interaction off well or have ecosystem restrictions. These kinds of solutions are typically locked into an ecosystem, as it is on iMessage with Apple iPhone and MacBooks, Samsung Electronics smartphones, or between Windows 10 devices. HP says PhoneWise work with every brand Android smartphone and Apple iPhone. Bring it on- I can’t wait to test out. As I mentioned earlier, advanced security is an absolute must with a mobile workforce. Millennials and wannabes seem to be everywhere except the “office” and aren’t working 8 to 5- they are away from the hive, interspersing work and play 24×7. With the Endpoint Security Controller, HP is taking a similar approach to what server vendors are doing in the datacenter, which is to put a proprietary (good) chip in the system to flag for properly signed functions that can mitigate many of the known security workarounds and hacks by protecting and recovering BIOS, the Windows OS, and apps. The embedded and HP proprietary chip enables three key components: Sure Start Gen 4, Sure Run and Sure Recover. According to HP, Sure Start Gen 4 protects both the BIOS and its copy running inside the system memory, while simultaneously offering improved encryption, enhanced resilience, and event logging capabilities. Sure Run, on the other hand, purportedly imbues the OS with self-healing powers, by monitoring key processes and apps (antivirus, for example), alerting both the user and IT department when something is amiss, and potentially automatically restarting said processes if necessary. Lastly, Sure Recover gives the devices “secure, automated, network-based software recovery” that, according to HP, will let users reimage the devices even if the hard drive is totally wiped. I absolutely love what HP is doing here, and while no security system is 100% unhackable, I can guarantee 100% that threats will change and enterprises must stay on top of it. Hardware-enforced security is the way to go, and HP appears to be nailing it. As I have said many times, the lack of security benchmarks and uniform language and tests are holding back the industry and making businesses unsafe. End customers have no way to measure one system’s security versus another and therefore won’t pay extra for it. Instead of a security benchmark or universal testing system, HP is going all out and calling its systems the “the world’s most secure and manageable PCs and workstations.” HP has some serious courage, and I am glad they did it—it will likely make HP’s competitors uncomfortable and challenge them to step up their own devices’ security. What we need is a security benchmark or a testing and labeling system. The new features listed above come in several different options. The HP EliteBook 830 G5 features a 13” screen within a 12” notebook profile. The 840 G5, on the other hand, is being marketed as “the world’s thinnest 14-inch business notebook.” Both the 840 GS and the 850 GS feature AMD’s RX540 discrete graphics (the first business notebooks to do so, at that). All three of these editions of the EliteBook 800 series feature 8thgeneration Intel Core vPro processors and claim up to 15 hours of battery life. It is nice to see AMD Radeon’s graphics designs as the company has stepped up their performance and driver quality immensely in the past three years. As for the ZBook series of workstations, the ZBook 14u G5 claims to be “the world’s thinnest workstation” on the market. It is dramatically thinner (28%) than the prior generation. The 15u G5 features HP Z Turbo Drive high-speed storage (up to 2 TB), and HP Performance Advisor for optimizing configuration, compatibility, and performance. Both options feature 8th Gen Intel Core Quad Core Processors with vPro, AMD Radeon Pro graphics, and HP Sure View privacy screens. New ZBook new design versus old is immense. The last thing I wanted to cover is the new HP Thunderbolt Dock G2, which HP is touting as the “world’s most versatile Thunderbolt dock.” As far as I know this is true. The dock purportedly allows IT to support any device (including non-HP) with Thunderbolt and USB-C functionality and provides power, an optional audio conferencing module, and the ability to handle two 4K displays. From my testing, HP was the first vendor to create a multi-vendor Thunderbolt 3 dock and one that worked as it should. With G2, the company is going “all-in” on “non-HP” devices. That is confidence and I love that. This will absolutely test the G2 dock in non-HP environments. The modular stacking option for a conference phone is genius. While it takes a screwdriver, IT can add the conferencing module after the fact. I would have preferred not to use a screwdriver, but I’m sure IT prefers that. The dock looks like it is a bit of a design miracle, smaller and more modular than any other designs I have seen. I will have to try one out to see if it lives up to the promise. Second gen Thunderbolt dock with optional conference add-on. These new devices blow the previous generation of HP mainstream commercial mainstream devices out of the water if you ask me. They are durable, more powerful, thinner, and look so much better from a design standpoint. They appear to be well-suited to (and designed towards) the demands of a modern, mobile, millennial workforce, with impressive new collaborative features. HP Inc. looks to be off to a great start this new year, both in consumer and commercial realms. I will continue to watch with interest.